According to the psychiatrist Carl Jung, “…the concept of Kundalini has for us only one use, that is, to describe our own experiences with the unconscious.. The current coat of arms of Mexico has been an important symbol of Mexican politics and culture for centuries. To the people of Tenochtitlan this would have strong religious connotations, but to the Europeans, it would come to symbolize the triumph of good over evil. 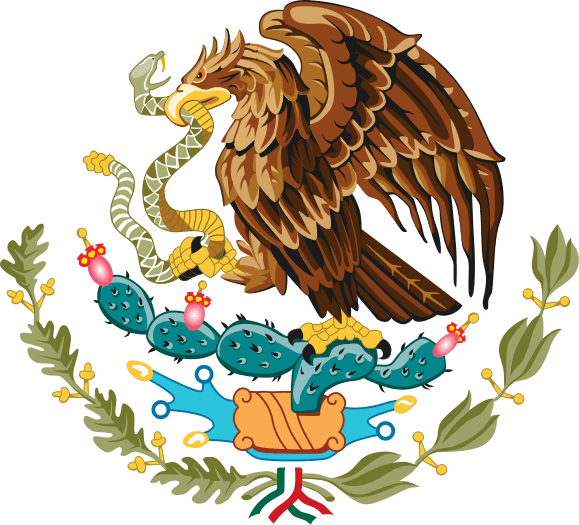 The national coat of arms is also used in the Seal of the United Mexican States, a modified official version used by the federal, state and municipal government. The coat of arms recalls the founding of Mexico City, then called Tenochtitlan. The legend of Tenochtitlan as shown in the original Mexica codices, paintings, and post-Cortesian codices do not include a snake. To the Mexicas, the snake represented wisdom, and it had strong connotations with the god Quetzalcoatl. 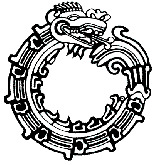 The story of the snake was derived from an incorrect translation of the Crónica mexicáyotl by Fernando Alvarado Tezozómoc. 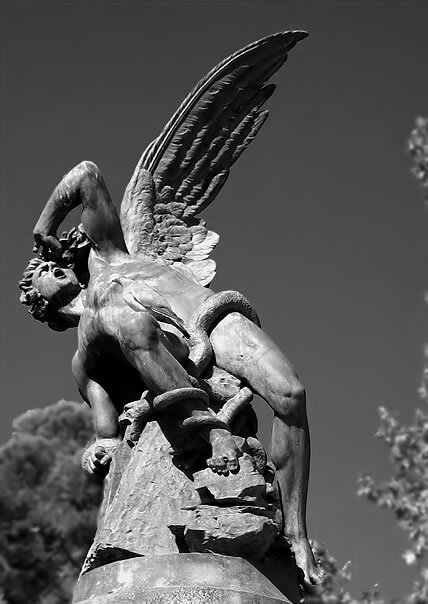 In the story, the Nahuatl text ihuan cohuatl izomocayan, “the snake hisses”, was mistranslated as “the snake is torn.” Based on this, Father Diego Durán reinterpreted the legend, so that the eagle represents all that is good and right, while the snake represents evil and sin. Despite its inaccuracy, the new legend was adopted because it conformed with European heraldic tradition. 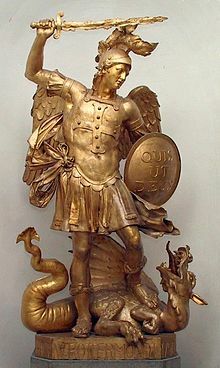 To the Europeans it would represent the struggle between good and evil. Although this interpretation does not conform to pre-Columbian traditions, it was an element that could be used by the first missionaries for the purposes of evangelism and the conversion of the native peoples. The alchemists, who in their own way knew more about the nature of the individuation process than we moderns do, expressed this paradox through the symbol of the ouroboros, the snake that eats its own tail. In the age-old image of the ouroboros lies the thought of devouring oneself and turning oneself into a circulatory process, for it was clear to the more astute alchemists that the prima materia of the art was man himself. His venom becomes great medicine. He quickly consumes his venom. For he devours his own poisonous tail. Here do all sages rejoice loudly. Tantra is often divided by its practitioners into two different paths: dakshinachara and vamachara, translated as Right-Hand Path and Left-Hand Path respectively. Dakshinachara consists of traditional Hindu practices such as asceticism and meditation, while vamachara also includes ritual practices that conflict with mainstream Hinduism, such as sexual rituals, consumption of alcohol and other intoxicants, animal sacrifice, and flesh-eating. The two paths are viewed by Tantrists as equally valid approaches to enlightenment. Vamachara, however, is considered to be the faster and more dangerous of the two paths, and is not suitable for all practitioners. The usage of the terms Left-Hand Path and Right-Hand Path is still current in modern Indian and Buddhist Tantra. …but capable also of being seen as his rhetorical and scornful question to Satan. …in Revelation 12:9, called as “that ancient serpent, who is called the devil and Satan, the deceiver of the whole world”. Yogis on the experience, instead of New Agers..
“geostigma.. etc.. children are always the first to suffer” cut. video. In Norse mythology, Jörmungandr (Old Norse: Jǫrmungandr, pronounced [ˈjɔrmuŋɡandr̥], meaning “huge monster”), often written as Jormungand, or Jörmungand and also known as the Midgard Serpent (Old Norse: Miðgarðsormr), or World Serpent, is a sea serpent, the middle child of the giantess Angrboða and Loki. According to the Prose Edda, Odin took Loki’s three children by Angrboða—the wolf Fenrir, Hel, and Jörmungandr—and tossed Jörmungandr into the great ocean that encircles Midgard. The serpent grew so large that it was able to surround the earth and grasp its own tail. As a result, it received the name of the Midgard Serpent or World Serpent. When it lets go, the world will end. Jörmungandr’s arch-enemy is the god Thor. It is an example of an ouroboros.